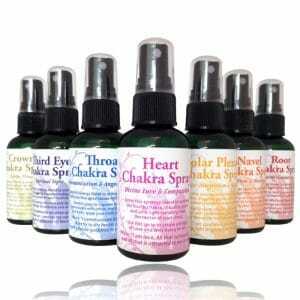 Euphoria Relaxation Spray 2 oz. 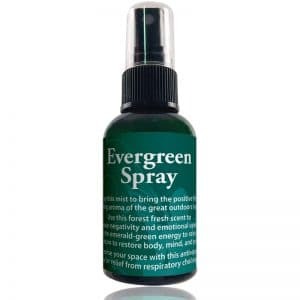 Spray this to reduce the challenges of anxiety, stress and fear. Chill out the effects of PMS and menopausal symptoms. Spritz yourself when you feel hysterical or out of balance. Breathe deeply and know All is Well! Euphoria is available neat in a 5 ml bottle. Spray this to reduce the challenges of anxiety, stress and fear. Chill out the effects of PMS and menopausal symptoms. 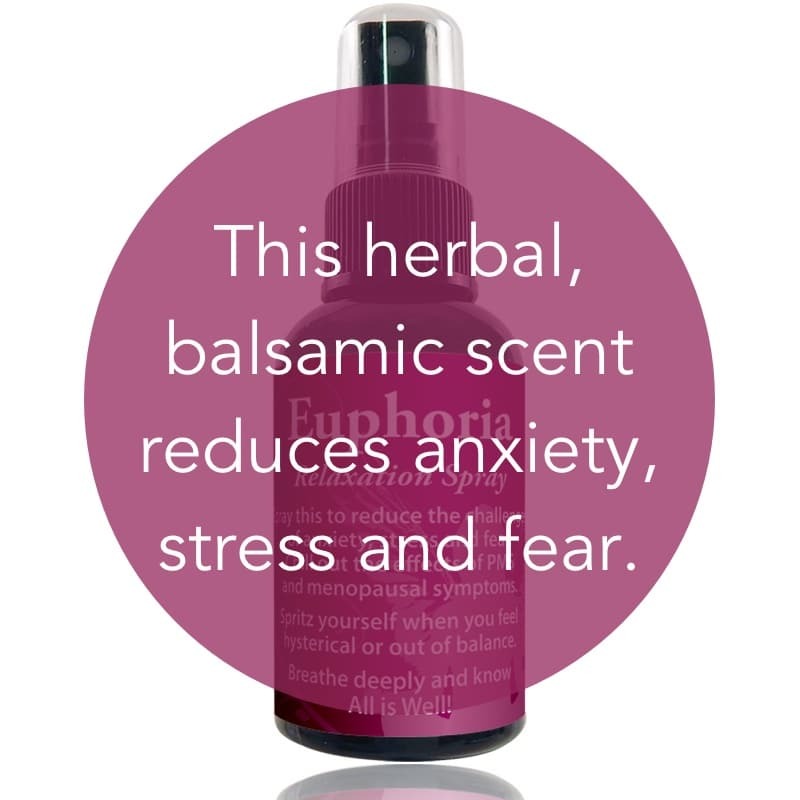 Spritz yourself when you feel hysterical or out of balance. Spiritual uses: Euphoria Essential Oil Blend Spray is ideal for connecting with Archangel Raphael to restore and rejuvenate on all levels and Archangel Sabrael to deter jealousy and negative forces. Mental uses: Euphoria Essential Oil Blend Spray helps maintain focus on something important when your thoughts are scattered. Its calming effect helps you sort out thoughts. By making it your intention to change your mind, Euphoria helps cancel out angry, vindictive, or negative thoughts. 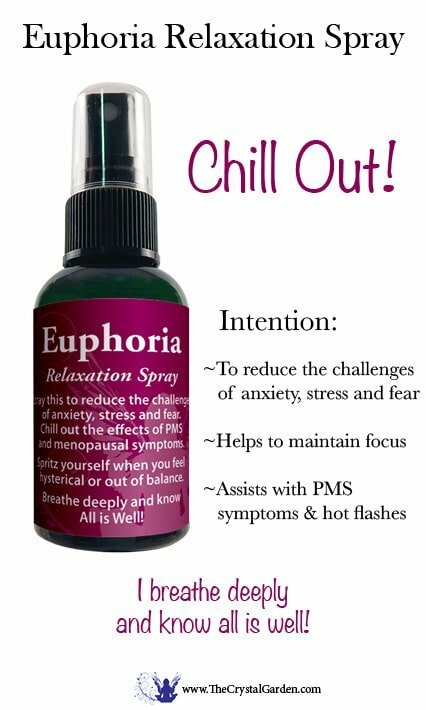 Emotional uses: Use Euphoria Essential Oil Blend Spray to rebalance yourself while you are experiencing hormonal havoc. Physical Uses: Use this synergistic essential oil blend to create stability in menstrual cycles, to assist in fertility, and for relief of PMS symptoms and hot flashes. CAUTION: Do not use if you are pregnant or if you have low blood pressure. Euphoria is a blend of medical grade essential oils using lavender, clary sage, geranium and spikenard. Lavendar is calming, clary sage lowers blood pressure, geranium balances the hormones and spikenard is a muscle relaxant. Clary sage creates a euphoric feeling which is where I got the name for the blend. If you have high blood pressure, this oils can help balance your condition but always use your medications if you are on them. If you have low blood pressure it could lower it even more so pay attention. Ingredients: Water; Proprietary Blend of Medical Grade Essential Oils. The Crystal Garden is located in Boynton Beach, FL – close to West Palm Beach, Boca Raton, Delray Beach, Fort Lauderdale.